... And, as usual, some other features, bugfix and balancing. Check the changelogs on our forum to access the complete list of all changes made since we started the Beta phase. All the team is proud to announce the release of a new free demo of its story-driven and tactical rogue-lite game, Crying Suns. 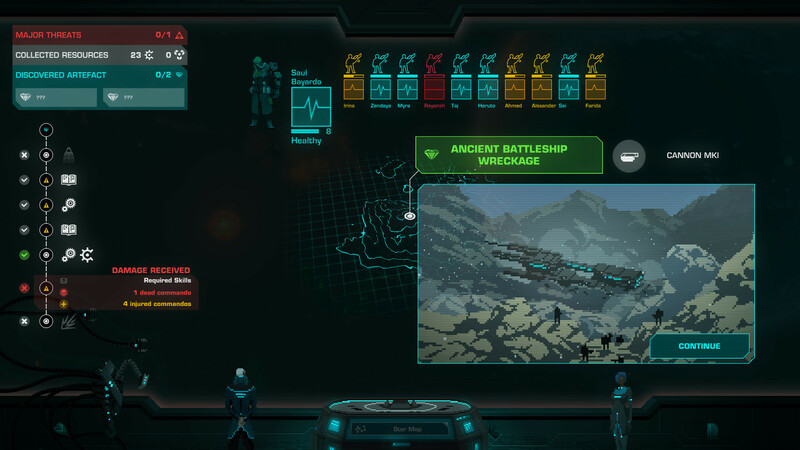 With this newest version, downloadable on our Steam page, you will be able to experience a major update to Crying Suns’ battle gameplay that the team has been working on for several months now. We are also thrilled to announce our recent partnership with publisher Humble Bundle for the Windows and OSX release of Crying Suns, in 2019. 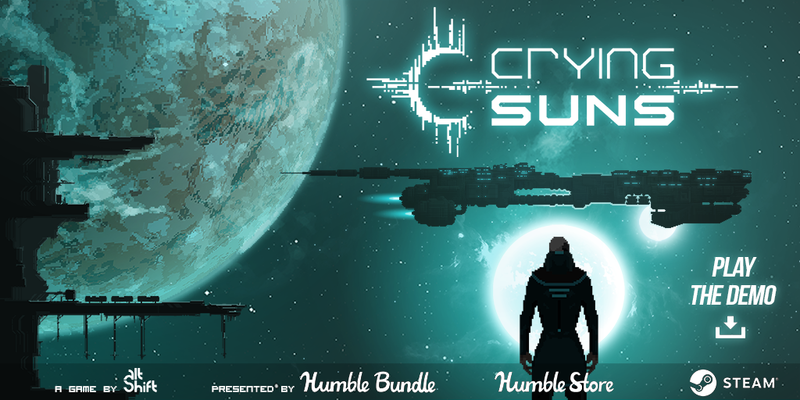 We chose recently to partner with Humble Bundle for the release of Crying Suns, particularly to benefit from the publisher's expertise and advice for Windows and OSX releases. The game will still be released in 2019 and with all the stretch goals and new features promised in the Kickstarter campaign. After 700 years of peace and prosperity, the Galactic Empire has suddenly been shattered into pieces. The OMNIs, god-like machines which did everything for their human masters, have mysteriously shut down. And humankind, having long since lost the ability to survive on its own, is dangerously close to extinction. But somewhere in a far corner of the Galaxy is Gehenna, a planet of ice and rock and a top-secret facility that is the pinnacle of Imperial Tech and also humanity’s last chance. You are a clone of Admiral Ellys Idaho, a weapon fashioned from flesh, the best Imperial Admiral ever to battle in the stars and you have just been awoken on this planet by its strange and darkly-humorous Guardian, Kaliban, the last functional OMNI to exist. Your mission: skillfully command a battleship through the Empire's now chaotic, violent clusters ––where one wrong move could be your last–– as you try to reactivate the OMNIs and save the future of all humankind. But you must leave Gehenna now.... for time has almost run out. Crying Suns will be available at first on PC and Mac. We also planned to release the game on iPad soon after the desktop version. ©2018 ALT SHIFT. 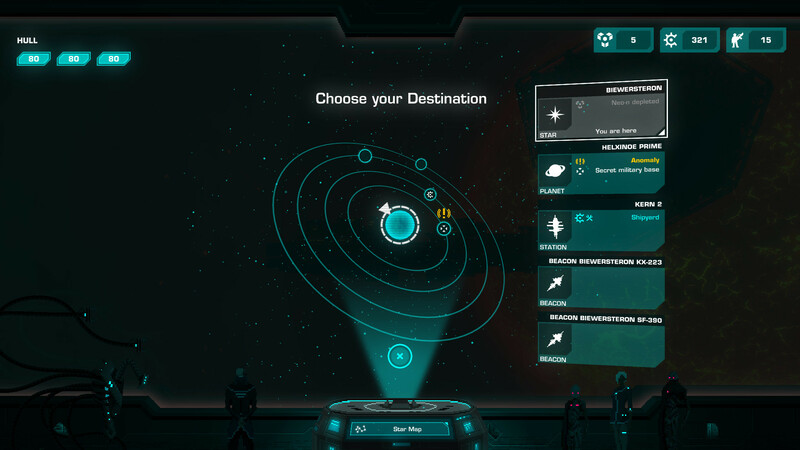 CRYING SUNS IS DEVELOPED BY ALT SHIFT AND PUBLISHED BY ALT SHIFT. ALL RIGHTS RESERVED.